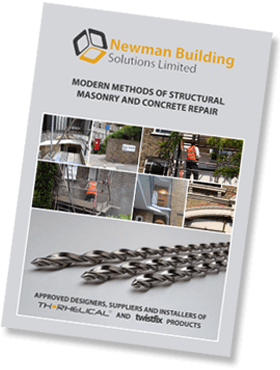 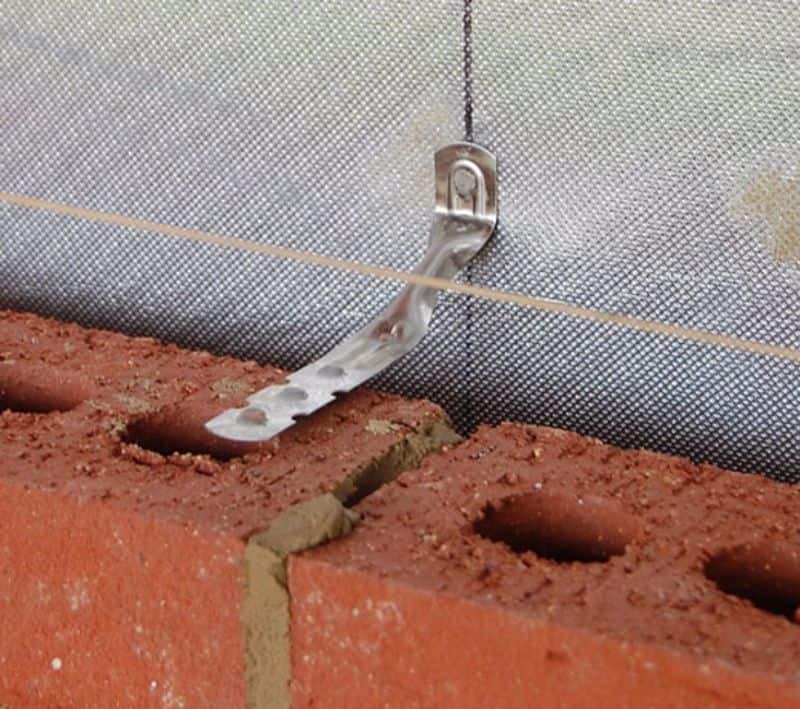 Newman Building solutions carry out wall tie replacement using high-tensile, stainless steel, helical wall ties. 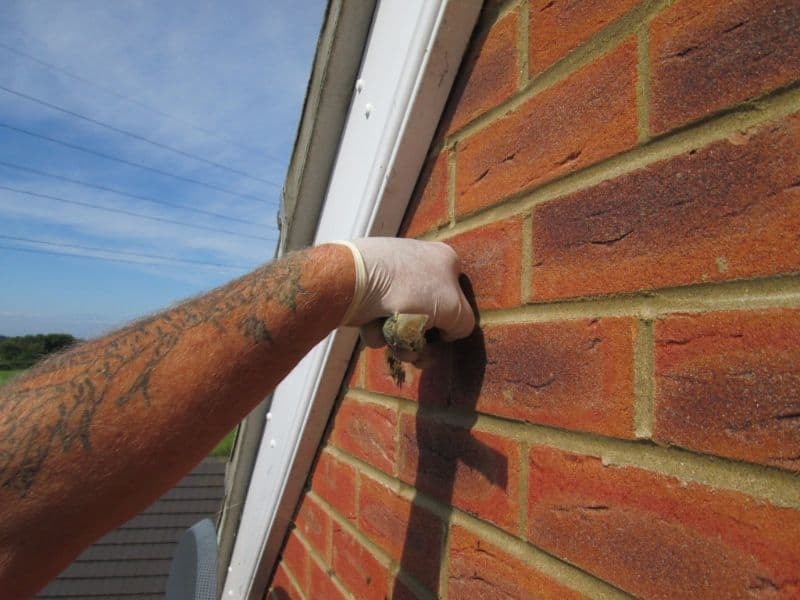 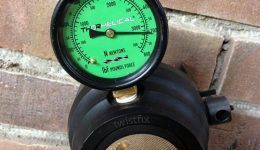 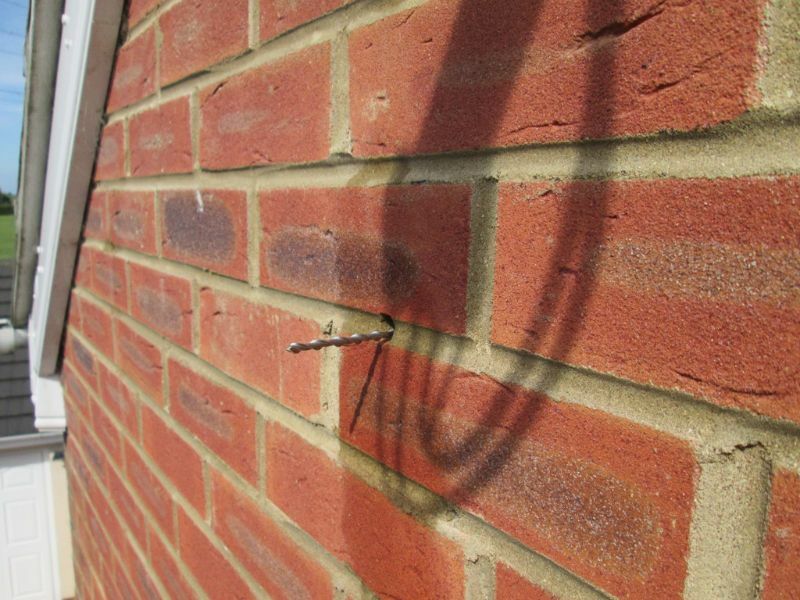 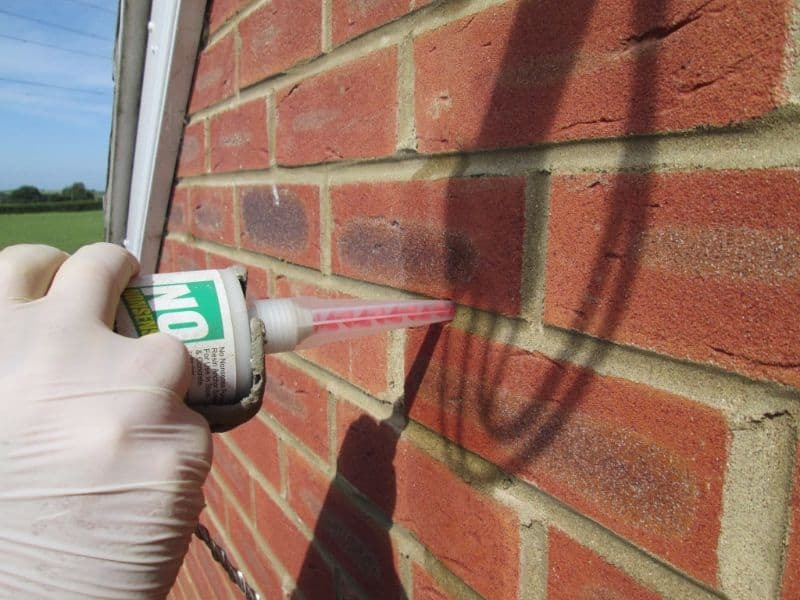 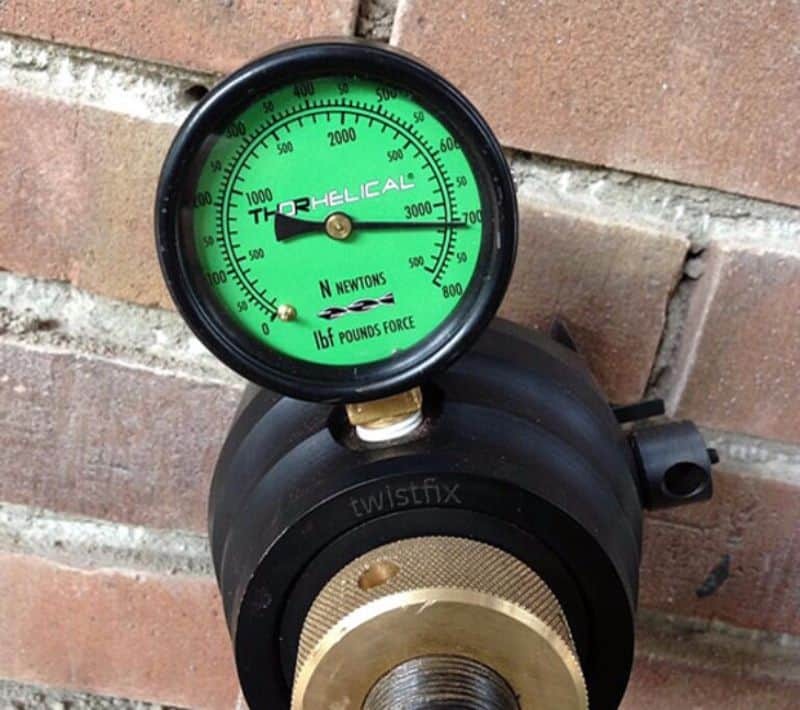 Helical wall ties provide a quick and efficient solution and often result in an almost invisible repair. 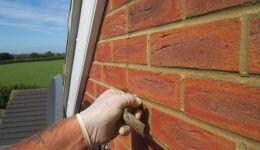 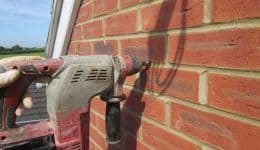 Cavity Walls were introduced in the very late 18th and early 19th centuries to stop the penetration of moisture into the internal skin of masonry. 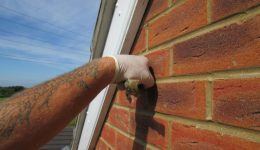 When cavity wall construction began the inner and outer walls were tied together using randomly placed bricks or stones. 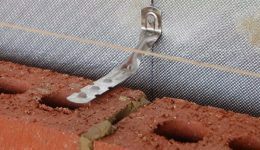 This method was quickly phased out with the introduction of iron fishtail ties. 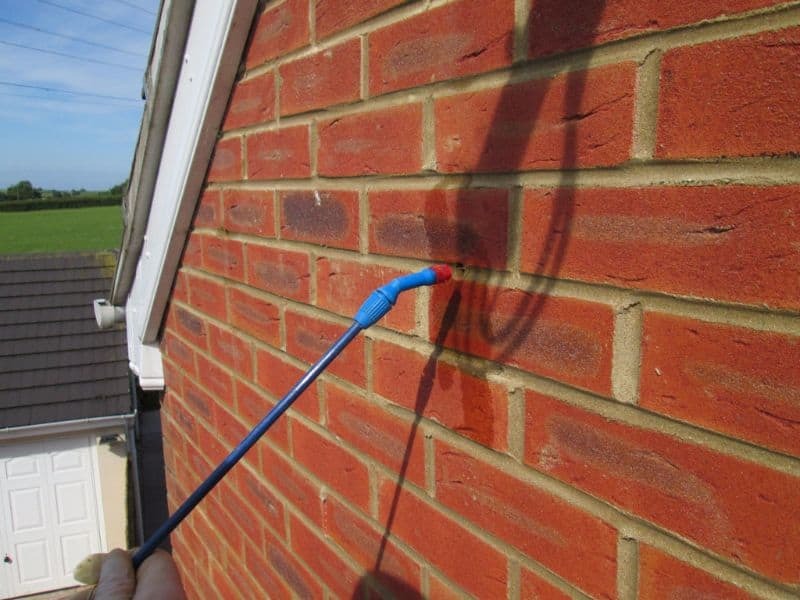 Cavity wall ties are prone to defect as moisture penetrates the outer skin of failed pointing and cracked masonry. 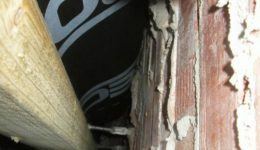 The ties then corrode and oxidise causing horizontal cracking within the bed joint, severely weakening the structure and increasing the risk of collapse where the external facade moves away from the internal wall. 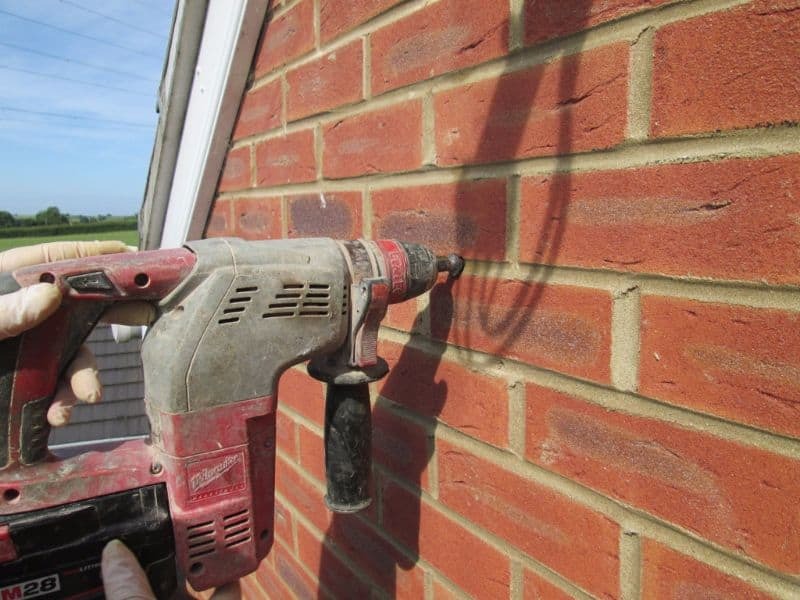 A small pilot hole is drilled in the brickwork and a helical wall tie is then hammer driven into the pilot hole. 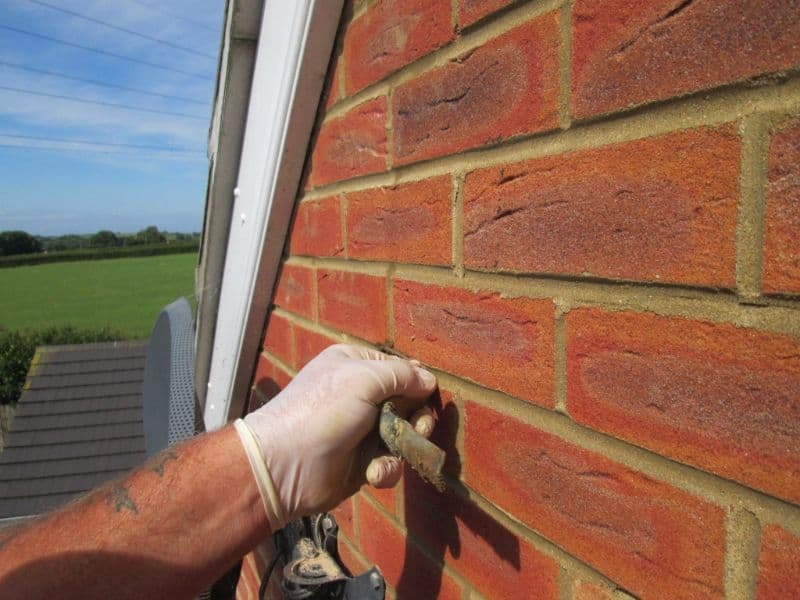 The small hole is then filled with colour matched brick repair mortar. 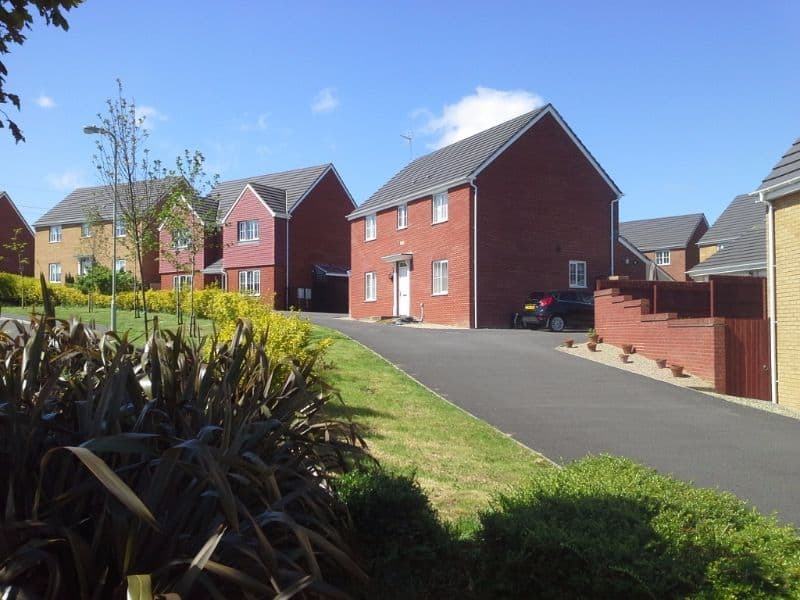 Timber frames are a modern form of construction and use a timber internal structure with a brick facade. 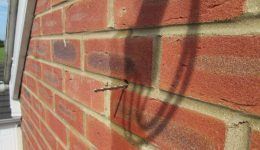 Unfortunately the wall ties that are used are often inadequate and the insertion of remedial timber frame wall ties is required. 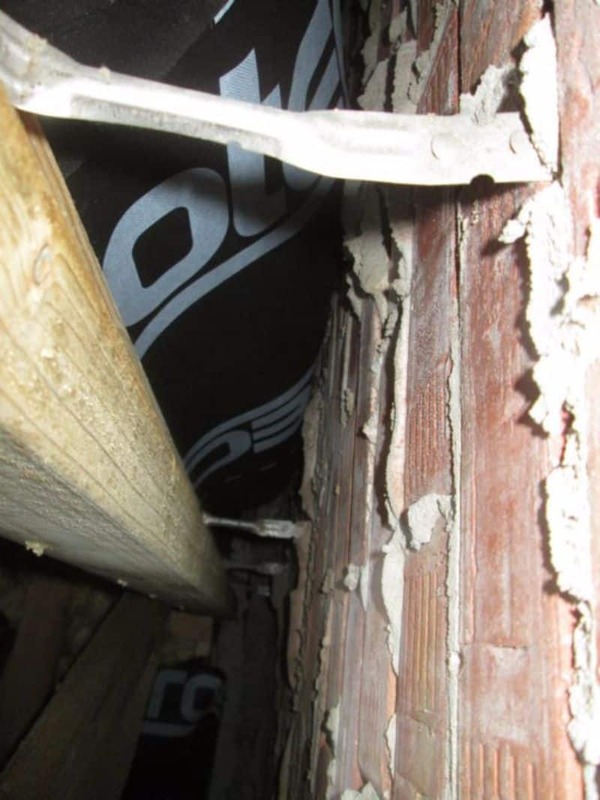 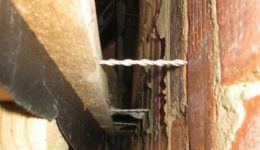 In the case of timber frame wall tie replacement, the self-tapping nature of the helical tie causes it to corkscrew into the timber frame providing a secure and dependable connection. 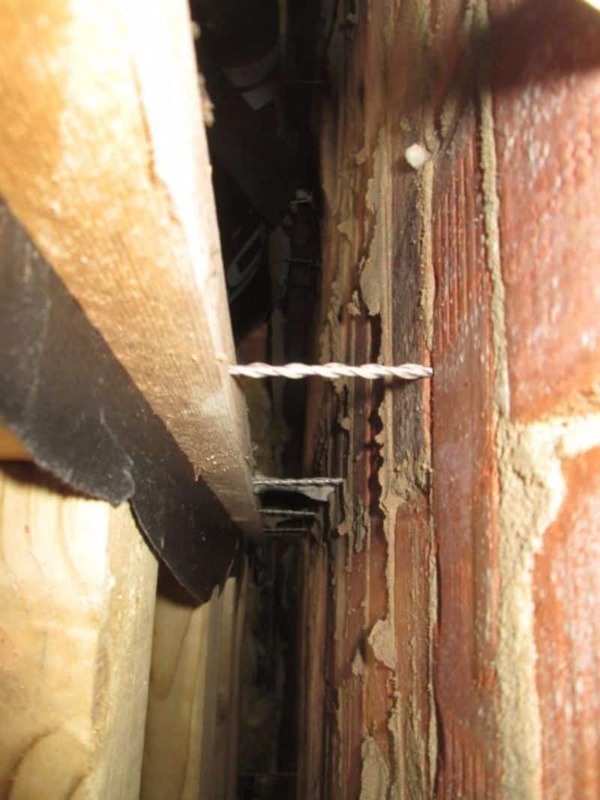 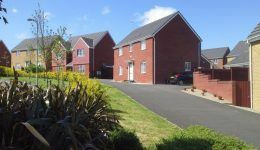 Click here to see a case study on the replacement of timber-frame wall ties on a development of 160 new houses that failed the NHBC inspection. 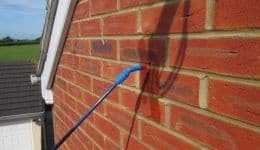 Newman Building Solutions offer an unintrusive wall tie survey using an endoscope and a metal detector to locate the existing ties, on completion of the wall tie survey Newman Building Solutions provide a detailed report of the condition of the existing ties together with a detailed remedial solution. 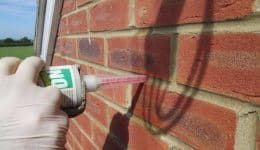 As a leading specialist in wall tie solutions NBS are able to offer a 10 year insurance backed guarantee on all wall tie replacement schemes.